As we had a loooooot to catch up on, we decided to stroll through the city, drink a starbucks coffee and talk about everything we've experienced! But in the end it started raining - Hate it! Anyways, we hope you enjoy these pictures and we're sooo excited to show you all the other photos we've prepared! Looks amazing!!! What wonderful pictures. Love the printed pants and the printed blazer. You both look fantastic! Hello beauty, it's the first time I'll visit your blog, and I just wanted to tell you that I love it, and the outfits are very cool! 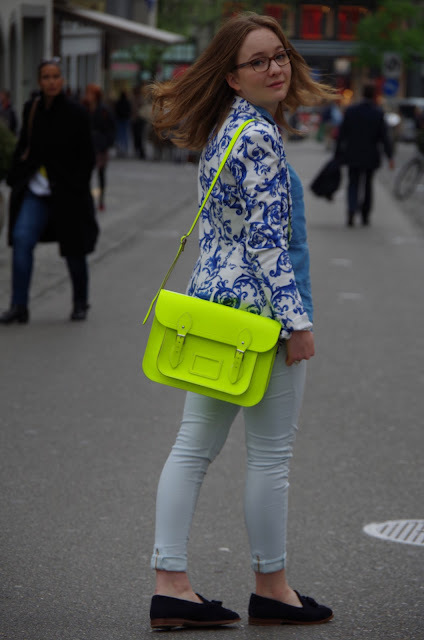 I'm already following you on bloglovin', if you want go see my blog, and follow me back! Love your look it`s perfect! Glad you're back! Loving so many things here: silver clutch, gorgeous blazer, tassel loafers, and printed pants!! Looking every inch fashionista!lovely pics! Thank you for your comment, you're so sweet! You two are so sweet and talented...love your posts and all your outfits! Awesome pants!!!! and great clutches :))) so cool pictures are so fun and the clothes look so comfy! beautiful outfits!!! You two are awesome! Have a great day! besos. Just love your Cambridge Satchel! Paris, wow!? So fun! Thanks for your sweet comment on Wrinkled Chiffon. Have a great day! 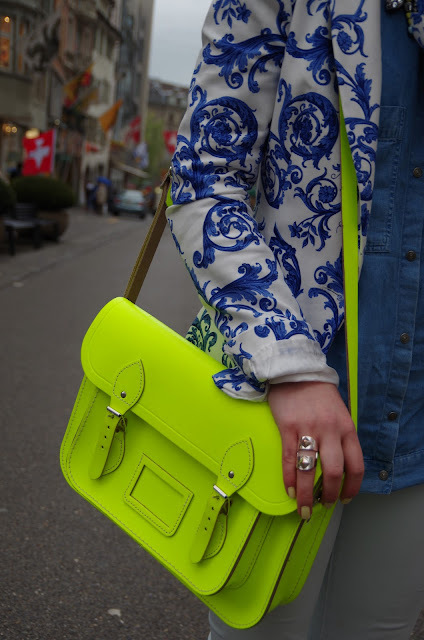 Lovely mix and pics, amazing yellow satchel :D...I think we should follow on GFC and Bloglovin? I'm following you!